UPDATE SINCE FIRST POSTED: We have just learned that Grandio Ascents are now available in some additional sizes - 8x16, 8x20, and 8x24. So that brings the Ascent line to 5 sizes including the 8x8 and 8x12. 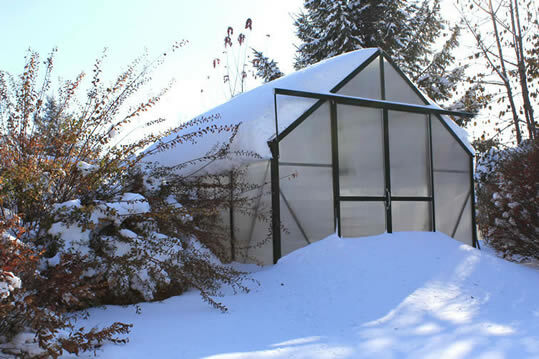 When shopping for greenhouse kits you quickly learn you will usually need to compromise. You want high strength but give in due to high costs, you want working room but have to go to a larger size than originally wanted, you want easy installation but that generally requires a starter unit. It’s a give and take greenhouse world. Well those days could be over with the introduction of the Grandio Ascent Greenhouse. The Grandio offers durability, working room, ease of assembly and even attractiveness in one low price. Grandio sent us over the 8x8 Ascent Greenhouse for inspection and assembly. The first thing we noticed was how the greenhouse came in two easy to carry boxes. When unpacking we were pleasantly surprised to find each piece individually shrink-wrapped to protect the powder-coated aluminum parts and polycarbonate panels. Too many times we’ve seen a greenhouse structure scratch or severally damaged during shipping. This was not the case with the Grandio. Next we were very pleased with the easy to read and follow instruction manual. A healthy combination of text and illustrations to help out with the process. There are also installation instruction videos posted on youtube to help clarify even more if needed, though this might be overkill due to the ease of assembly. 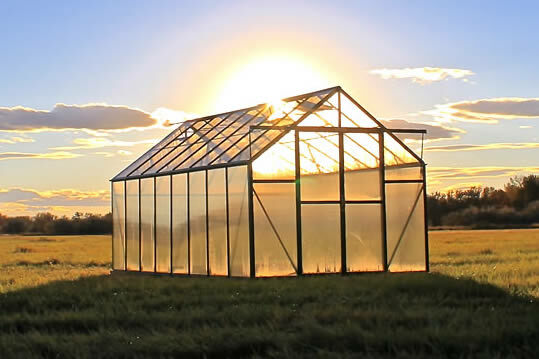 Two people can easily have the greenhouse assembled in just a few hours. Note that all the tools needed were included with the greenhouse, another bonus. Also included with our greenhouse was the base kit which is often an additional cost in some greenhouses (be sure to check for a base kit when price shopping greenhouse kits.) Grandio includes the base kit in all models. Foundation pegs give you the option of securing it in cement or attaching it to an existing surface. As we reached the end of our assembly we were amazed how the included rain gutters slide in and secured all the 6 mm panels in place. 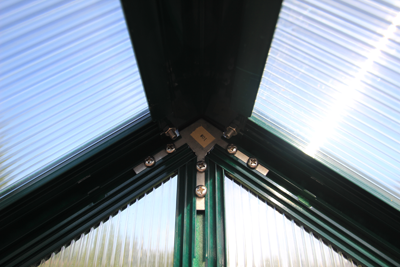 Greenhouses are known to have issues keeping roof panels secured during wind storms, but the Grandio panels are snug and protected. We can’t see these coming out anytime soon. The rain gutters working like a “lock” that will only let the panels come out again by removing the gutters. It’s an innovative idea we’re sure others will look to down the road. Two roof wisndow included that sit flush on the roof and a 42” wide dual door are nice touches too. The dual doors latch with a double-ball catch and have handles on both sides of both doors. Top and bottom rollers make the door even more functional. 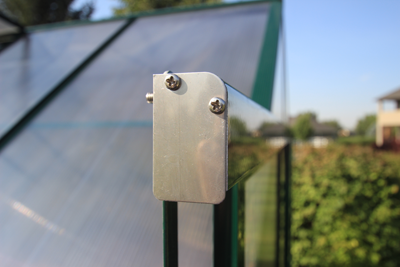 Swing doors can make taking a wheelbarrow or cart in and out of the greenhouse difficult. So another great idea from Grandio that people will appreciate starting day one of use. 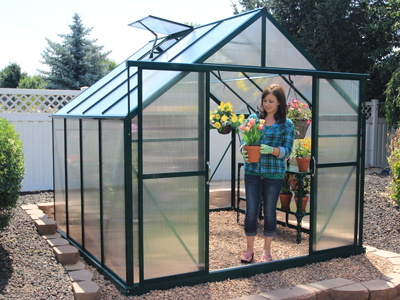 The 8x8 greenhouse has 7’9” of peak headroom which is a good height and not easy to find in a consumer product. Your back will thank you no matter how many hanging plants you have. Now back to the durability. Grandio plans ahead by including the support kit with the unit. If strength is an issue this is another reason to consider a Grandio Greenhouse. After completion we were very pleased with the look of the Grandio Ascent. 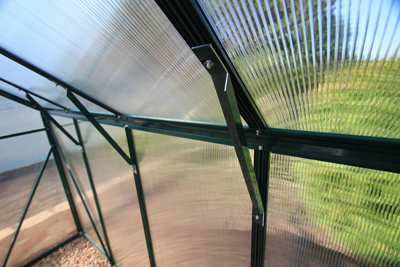 Smooth lines and the deep green powder coat makes it a very attractive greenhouse. 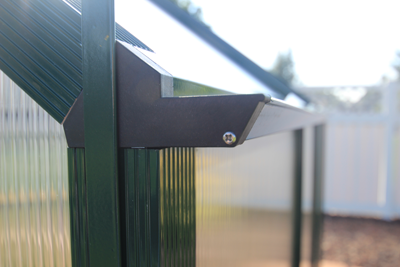 The opaque UV coated panels easily clean and are backed by a 10 year warranty. 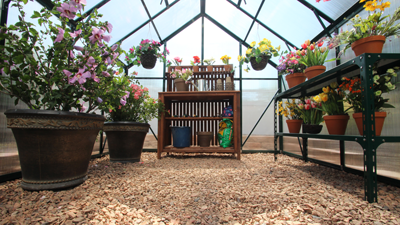 The entire greenhouse is covered by the same 10 year warranty so you’ll also have piece of mind with your purchase. One final praise of the Grandio Ascent and perhaps the biggest - the price. 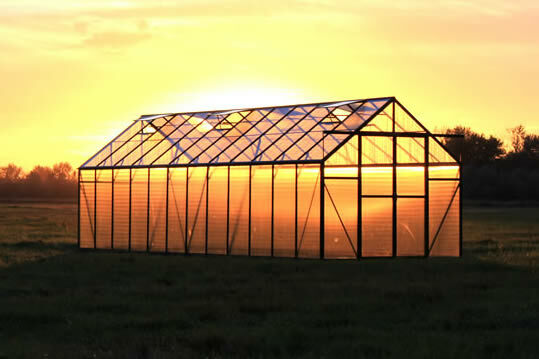 Grandio Greenhouses offer extremely good value and price their 8x8 Ascent at just $999 and the 8x12 at $1399. For the quality you get and the included 6mm panels and base kit, they could easily charge $1500 to $2500. Again, be sure to check what accessories and panels come with other models when you are researching. So if you thought you couldn’t pay less and get more, looks like this time you are wrong. Great job Grandio!